Among Annette's many illustrative and artistic interests, writing has always been especially dear to her heart. Growing up, she kept diaries and journals as a cathartic way of releasing her thoughts and emotions on paper to get through childhood struggles and capture memorable moments she did not want to forget. While in school, she developed a passion for reading. Some of her favorites were Shakespeare works, Nancy Drew series, and Alfred Hitchcock mysteries. Annette is a lifetime member of the Christian Authors On Tour (CAOT), and was a member of the Women Writers of God's Word (WWGW) traveling to promote the study of the Holy Bible, actively engage in community outreach, as well as share writings as a tool for Christian ministry through literary events/signings, workshops, panel reviews, and radio and television interviews. She is also a member of The Black Writers' Guild of MD, Inc., a local non-profit that creates a platform for aspiring and veteran writers of various genres to collaborate and hone their writing and business skills, share literary knowledge, promote writings, host book signings and participate in encouraging literacy within the community among all ages. A few of Annette's current writing influences are: Joyce Meyer, Bishop TD Jakes, Jentezen Franklin, Michelle McKinney Hammond, Vanessa Miller, Juanita Bynum, Charles Stanley, and Bruce Wilkinson. 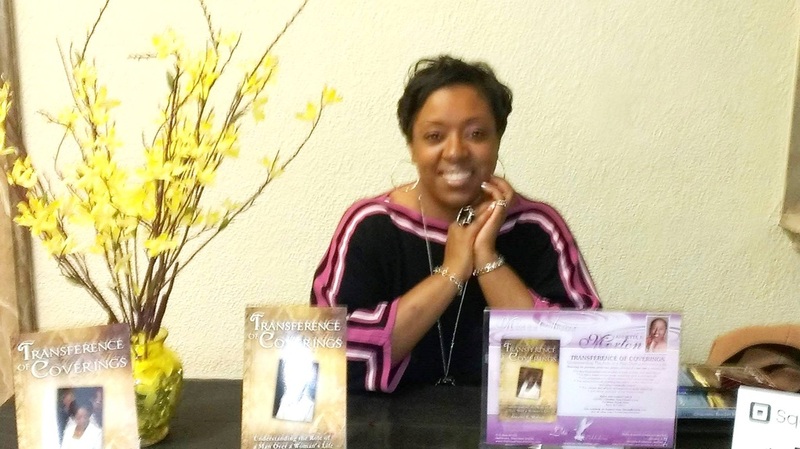 Annette expects to release several books of poetry, a revised edition and devotional of her current work, Transference of Coverings, and continue writing two fiction projects and a non-fiction project. Holiday Book Fair with the Black Writers' Guild of MD Inc.
"Black Saturday" Holiday Book Fair with the Black Writers' Guild of MD Inc. at Security Square Mall in Woodlawn, MD. We had an incredible time meeting new people and seeing familiar faces. It was a great surprise to see my cousin and her boys come from Georgia to get another copy of my book! Also, supported by ministry friends, fellow authors, and coworkers who purchased books and gave me and my fellow authors encouragement! Thank you!